Alexander Rose Cordial Roble Top Coffee Table: The Cordial Roble Top Coffee Table by Alexander Rose is part of high quality and modern range with contemporary open spoke design to complement the lounge chairs and sofas in the collection. 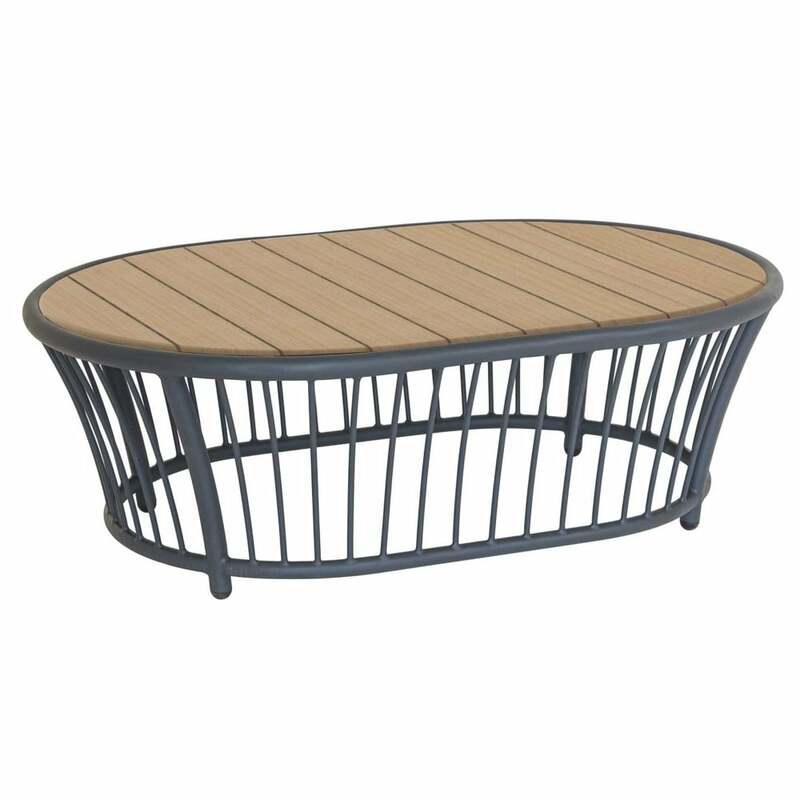 The Alexander Rose Coffee Table is made from tubular aluminium with a fine texture powder coating in a choice of grey or beige frame. The Cordial 1.19 x 0.85 table also features a smooth slatted roble hardwood table top for a contrasting design and includes a 10 year manufacturer’s warranty.